Budget constraints are affecting every aspect of public services and yet the obsessive pursuit of academic achievement and admission to higher education for (almost) everyone persists. Whether this be out of an inflated regard for academic qualifications over vocational success, a well-intentioned belief that everyone should be able to undertake a degree course or simply the recognition that increasing undergraduate numbers results in lower young unemployment figures, the situation certainly looks to be troublesome because there is only a finite budget to be spread around. It would appear that the budget is becoming so thin in places that it’s effectiveness is questionable. Prescribing half a course of antibiotics is, in most cases, ineffective and, in the long run, detrimental to the wider population. Similarly, thin courses with inadequate facilities, supervision and learning really do nobody any favours, least of all the students who are process through to “success” – a degree and a nice photo for proud parents’ mantlepieces but perhaps of limited value in a world where employers are sceptical of many academic qualifications beyond their immediate value as a means of thinning out the tsunami of applications for such jobs as are advertised. Given the non-availability of increased public spending on HE, the easiest available option to ministers is to further increase student fees and hope that throughput can be maintained. However, in the real world of rising graduate unemployment many will question whether the prospect of significant debt and no certainty of a job with which to repay student loans is worth the risk. In some sectors, non-degree routes to career progression are established and many companies are responding to the imperative of rapidly changing skill sets by building continuous learning and development into their organisations. Thus older staff as well as new recruits can continue to progress to benefit from opportunities inherent in evolving industries. There are undoubtedly political imperatives at work in the higher education landscape and it is refreshing to hear a politician questioning the current ethos. Older and part-time students are turning away and employer complaints about graduate quality persist. In the most expensive public higher education system in the world, debates about the future centre on asking graduates to pay even more. Instead of paying more for the current system, we should take a radical look at what and how higher education delivers. By doing so, we could make far better use of current spending on higher education and deliver a system which is both sustainable and affordable. In a sold-out event at the RSA on Thursday (16 Jan) John Denham will ask whether the expansion of student places announced in the Autumn Statement makes educational or financial sense. Alison Wolfe, the Sir Roy Griffiths professor of Public Sector Management at King’s College, London will respond. 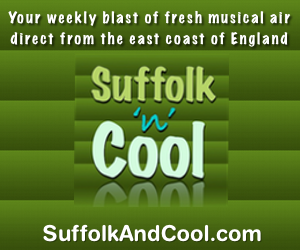 In the first event of its type here in Suffolk, you are invited to join us to see the talk, chaired by RSA Chief Executive Matthew Taylor. 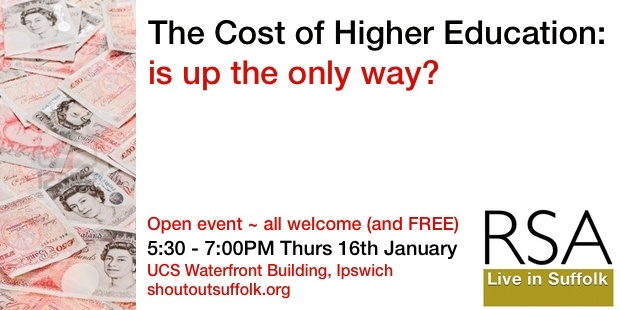 The event will be streamed live from the RSA House in London to UCS, Ipswich. We will be able to join the discussion with speakers and audience in London via social media as well as with others at the event in Ipswich. For me, John Denham’s presentation was quite persuasive but, like Matthew Taylor, I felt as though I’d just been pitched an endowment policy … albeit, an excellent one! Both speakers seemed to be of the view that the status quo simply can’t be the way forward and that current funding models are sliding to the edge of the cliff if, as is claimed, for every £1 spent on teaching, £6 is being spent on student debt cancellation. Who knows whether this radical model will make it into the Labour Party manifesto but, on the basis of what we heard and saw last night, it deserves very serious consideration. I don’t know why things are the way they and but I suspect that they just got that way, without anyone noticing a policy tweak here and a financial adjustment there. UK students are studying, on average, 30 hours per week for 30 weeks per year, the lowest in Europe. Surely that’s almost a part-time degree without the job to support it! I would have liked more thought about whether a three year university degree is actually useful to 50% of school leavers and whether there might be alternatives better suited to the needs and circumstances of young people, their families and the wider community. All in all a stimulating opportunity to get close to policy thinking. 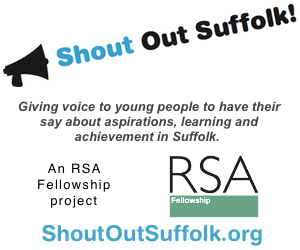 You can sign up for the RSA Suffolk email list (through which we’ll be publicising future open events) here: http://shoutoutsuffolk.org/rsa/ You can opt out at any time. In a few days, an edited version of the full presentation (with sound) will become available too.